Just thought I would email you a couple of pics of my quilt, using your wonderful designs. I am a friend of Vicki Purnell, she only lives a good stones throw from me. 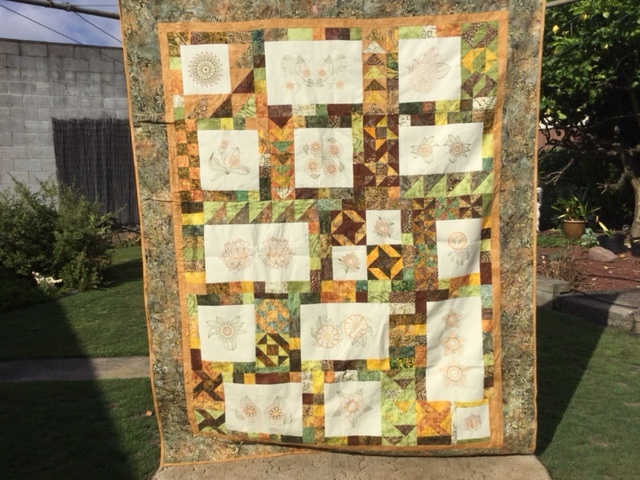 I have made several of her wonderful quilts, using your designs. The fabric is mostly batik, unfortunately I cannot remember the particular name of it. Something like Lemon………..? 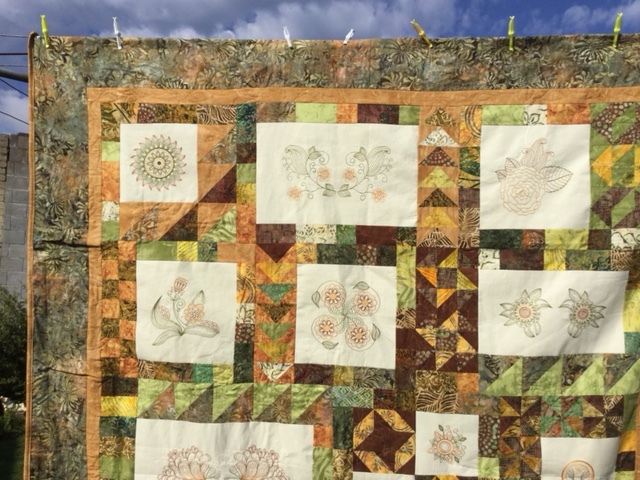 It has been waiting to be quilted for quite a while and I finally got around to doing it a couple of weeks ago. Bye for now, & thank you for being so generous with your designs.